“We Tibetans are strong, united and resourceful people. We tireless resist the many threats to our language, culture and heritage, and strive to create a harmonious and peaceful community. One threat for which we haven’t, until now, had the tools to resist is the growing risk of HIV in our community. There is no cure, but with the right knowledge we can prevent HIV”. – Dr. Tsering Wangchuk. With the TeachAids Tibetan language HIV education animations set to be released in time for the Tibetan New Year (Losar), Dr. Tsering Wangchuk, Health Kalon (Minister) of the Central Tibetan Administration (CTA) delivers a special “Call to Action” in English and Tibetan encouraging Tibetans around the world to learn from the TeachAids materials and share this critical knowledge with their loved ones. Warning that HIV can “ravage families, communities and nations,” Dr. Wangchuk proclaims that “preventing the spread of this disease is among the most important actions we can take to ensure that the Tibetan people remain strong and resilient. This is an urgent imperative in protecting our community and a necessary step in preserving our community”. Dr. Wangchuk has served as Health Kalon since 2011, prior to which he was a respected practicing doctor in Tibetan settlement health centers in the Indian states of Odisha, West Bengal and Karnataka. Unanimously approved for the position of Health Kalon by the Tibetan parliament, Dr. Wangchuk is the youngest person to serve in Sikyong (Prime Minister) Dr. Lobsang Sangay’s first Kashag (cabinet), and the first medical doctor to serve as Kalon in the CTA. Throughout his tenure as Health Kalon, Dr. Wangchuk has been concerned about the rising HIV rates in Tibetan communities around the world. Citing alarming statistics that show a sharp increase in new reports of HIV in recent years and “a serious lack of localized HIV education materials available to educate the population,” After much research, Dr. Wangchuk reached out to TeachAIDS in to request urgent assistance through a partnership between TeachAids and the CTA. 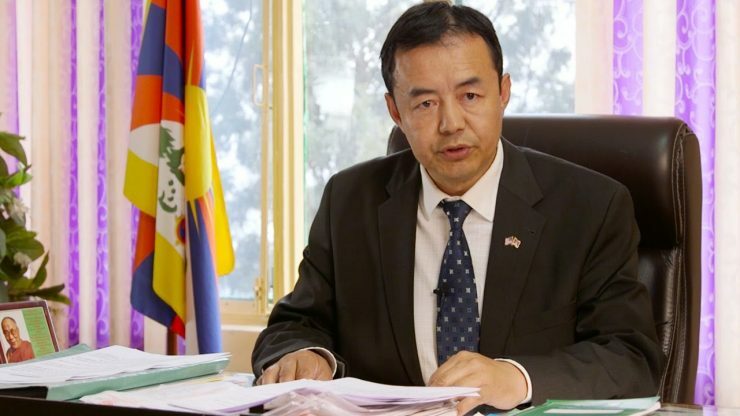 As the head of the Central Tibetan Administration’s Health Department, Dr. Wangchuk and his staff are dedicated to improving health care and access for Tibetan communities both inside and outside of Tibet. Along with Sikyong Sangay and other members of the Kashag, Dr. Wangchuk launched the Tibetan Medicare System in 2012 to provide comprehensive healthcare to exiled Tibetans living in the Indian subcontinent. He has also conducted extensive public health awareness campaigns on hygiene and sanitation; hepatitis B; tuberculosis and reproductive health. Dr. Wangchuk’s dedication to empowering the people of Tibet to protect themselves from HIV has been evident from the moment he first contacted TeachAIDS and is manifest in his commitment to distributing more than 10,000 copies of these materials to schools, universities and health clinics. We are grateful for the generous support Dr. Wangchuk and his staff extended throughout the development of the Tibetan language HIV education materials, and we join him in encouraging Tibetans around the world to “watch the video. Interact with the software. Learn how to protect yourself and your loved ones…. Talk to your friends, your siblings, your parents and your neighbors about HIV… Together, we can stop the spread of HIV and AIDS”.